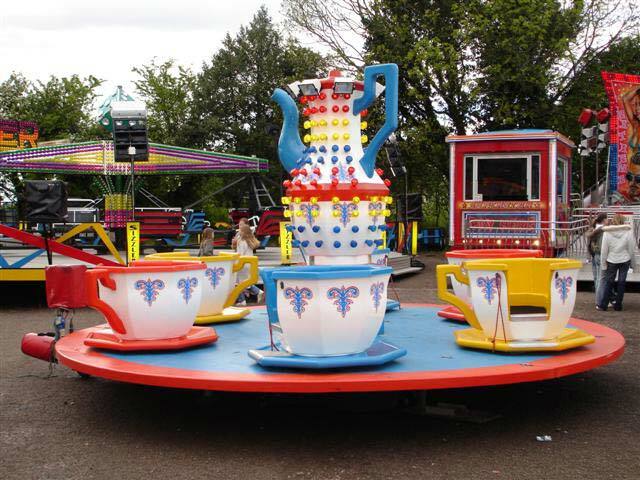 The Mini Tea Cup comes standard with a beautifully detailed teapot centerpiece and six teacups accommodating a total of 24 passengers. 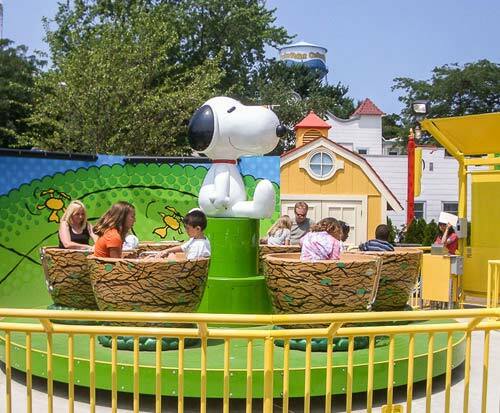 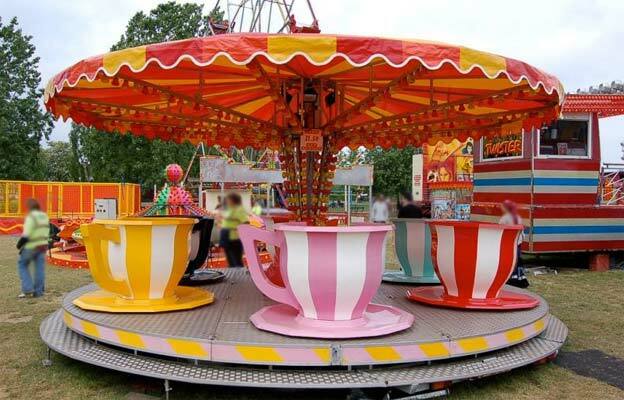 All Cups have a steering wheel in the middle that can be operated by the passengers while the ride is rotating ISO approved. 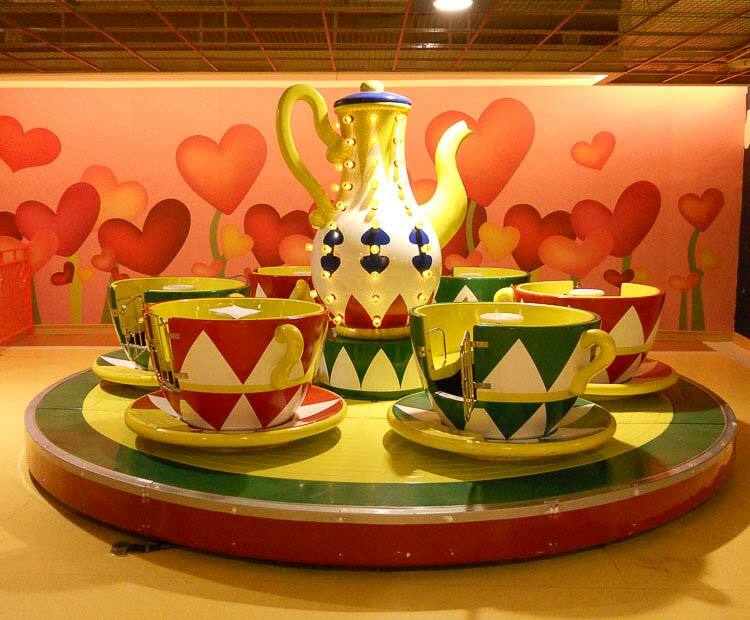 The Cups can also be Snoopy or beelike in the pictures. 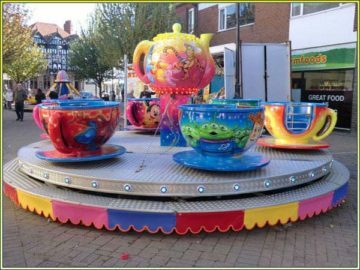 With bright colours and lighting and the extra safety of variable speeds, people of all ages will enjoy this ride, just remember when you ask for ‘faster’ that’s exactly what you will get.